At Leeds Playhouse your personal privacy is important to us. This notice explains how we collect, store, manage, process, and protect your personal information. It lets you know the types of information we might hold, how and where we’ll use it once it’s been collected and how we will keep it safe. We’ll always aim to be very clear when we ask you to share any information with us and won’t do anything with it that is unexpected. If you wish to stop receiving emails from Leeds Playhouse, please click here to manage your preferences. To fulfil our contract with you it’s sometimes necessary for third party providers to have access to your data so that they can perform services on our behalf (for example we use Dotmailer to send out email information). You can request details of personal information the we hold about you by contacting the Sales Manager (details below) and providing a description of the information you would like to see, together with proof of your identity. 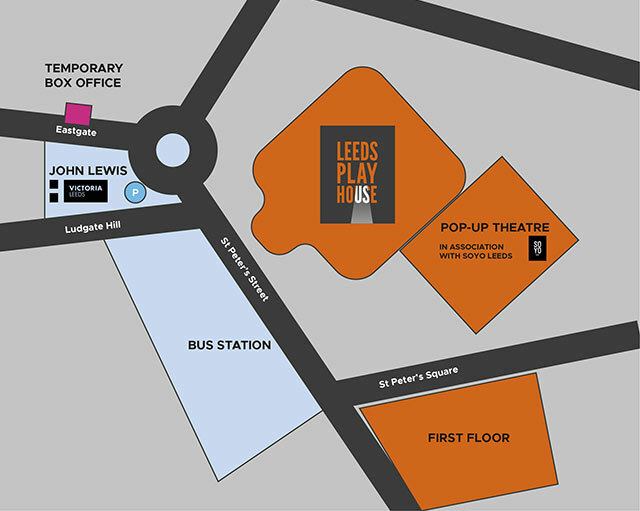 The Leeds Playhouse website is owned and operated by Leeds Theatre Trust Ltd. Charity No. 255460. For the purpose of the Data Protection Act 1998 and EU GDPR the data controller is Leeds Theatre Trust, Leeds Playhouse, Quarry Hill, LS2 7UP. This notice was updated on 21 May 2018. It may be necessary to update it from time to time to reflect changes to our business operations or to legislation. Updates will be posted on this page – please check back from time to time. We may also inform you directly of any changes.